Megastar Amitabh Bachchan appointed as the World Health Organisation (WHO) goodwill ambassador for Hepatitis in the South-East Asia Region. 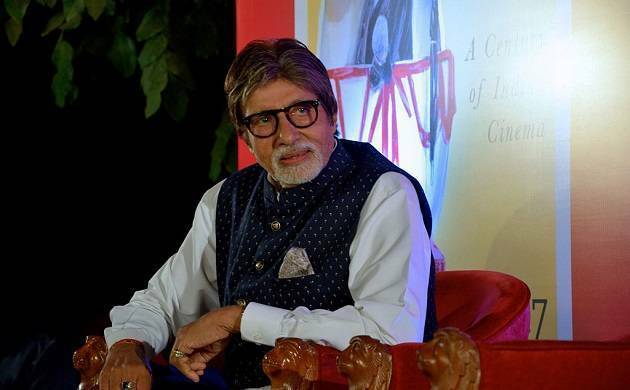 Megastar Amitabh Bachchan was appointed as the World Health Organisation (WHO) goodwill ambassador for Hepatitis in the South-East Asia Region on Friday. Mr. Bachchan, himself a survivor of Hepatitis B, says government support is needed to come up with health related schemes and programmes to completely eradicate Hepatitis from the country. "When I got to know about this, we all went to meet our health minister and told him that no matter how much we work at an individual level, if the government doesn't support, we can't get rid of it (Hepatitis). The government can give importance to Hepatitis through their health campaigns", he told reporters. Read more: Abhishek Bachchan to romance Priyanka Chopra after nine years? "If hepatitis can be given specific attention, results can be achieved. We are trying hard for it. There are some government health schemes which do look into hepatitis but it would be better if there is a dedicated scheme for it." The 74-year-old actor said he is happy to be the face of the Hepatitis awareness programme as it'll help take the awareness about the disease to all corners of the country. "Unfortunately, I can't go to all the places and visit families but the worker on ground visits every house and spreads awareness. We must take care of all the workers who do this good work." "I suffer from Cirrhosis of the liver, usually it's for people who are associated with alcohol. But I don't drink. The moment people listen to 'Cirrhosis of the Liver' they think..oh he must be an alcoholic. The name itself is feared. We need to create awareness."